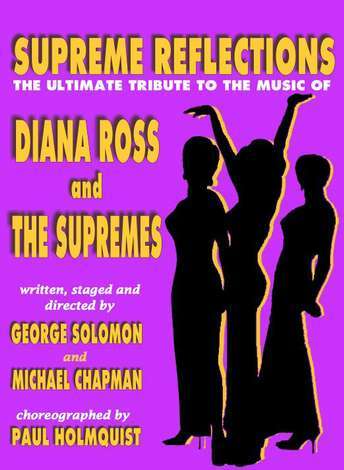 SUPREME REFLECTIONS a loving tribute to the most famous female singing group of all time, THE SUPREMES! This show presents the original, familiar classic hits and the true story of the actual Supremes. Baby Love, Stop in the Name of Love, You Can’t Hurry Love, Love Child….. You’ll love, love, love this stylish, fun and informative musical gem! , The cast of Supremes Reflections vocals are so true to the original recordings that it must be pointed out that they are NOT lip-syncing. The show does not just stop with the music…the show has costumes that even Cher would envy! SUPREME REFLECTIONS is a full-scale musical comedy revue that will thrill your audience and give new appreciation to the three classy ladies from Detroit who became and remain the most popular female vocal group in the world.